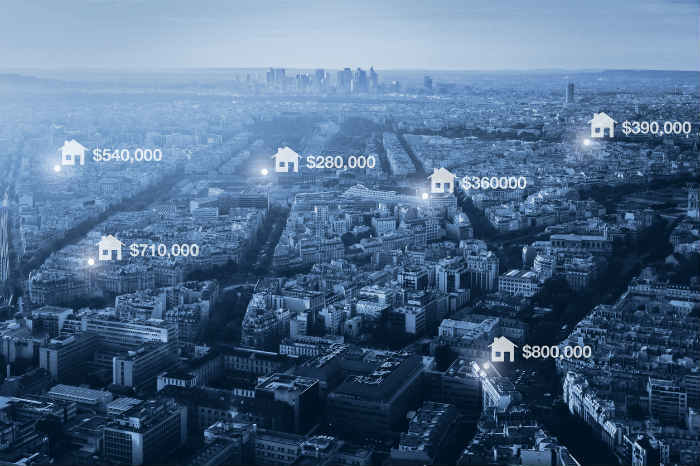 Investing in U.S. real estate has become a very attractive investment alternative for Israelis seeking higher returns than those obtained by traditional bank deposits. There are no exact figures on the total investments of Israelis in foreign real estate, but according to a recent article in the Hebrew edition of Forbes, Israelis are the biggest investors in overseas properties on a per capita basis. The article cites research conducted in 2014, indicating that since 2010 Israelis have invested some $1.5 billion in U.S. assets. It can be safely assumed that since then the number has substantially increased. Non-U.S. individuals and entities thinking of investing in U.S real estate should consider the following three ways to structure their investments for tax purposes. Each has its own advantages and disadvantages and, until recently, the analysis of these pros and cons has been the same. However, the new Tax Cuts and Jobs Act (Trump tax reform) has now created new opportunities that should be carefully considered. In this blog post, we will present the current situation and will provide the full picture. Next week, we will explain the new opportunities arising from the new tax reform. The first possibility is to invest as an individual. This has the advantage of low tax compliance costs. All the individual’s investments are reported by him or her on a single Form 1040NR in addition to the relevant state tax form. Another very significant advantage is the low tax rates for individuals on long-term (held for more than 12 months) capital gains. The maximum rate for individuals for long-term capital gains is 20 percent. If, while holding the asset, individuals can equalize their rental income with depreciation and other expenses, then they will only have taxable income at sale. If they have held the asset for more than 12 months, then this will be considered a long-term capital gain, with a maximum federal tax rate of 20 percent for individuals (state taxes can also apply here depending on the state). The biggest disadvantage of this structure is that a non-U.S. individual is subject to U.S. estate tax for U.S. real estate holdings in excess of $60,000. This estate tax reaches 40% very quickly, so investors should take this into consideration. The second way to invest is by using a foreign corporation. This provides the investor with a significant advantage in that the U.S. assets are not subject to estate tax. The death of the corporation owner will not cause the assets to pay estate tax, as the corporation remains alive and is passed on to the next owner. Additionally, investment through a foreign corporation provides the investor with anonymity to the U.S. The taxpayer is the foreign corporation, not the owner of the corporation. The foreign corporation only reports the income from the U.S. investment to the U.S. authorities and does not reveal its activities outside the United States. Tax rates for foreign corporations until recently were a significant deterrent for people using this vehicle to invest in U.S. real estate. Until the reform, the corporate tax had a maximum rate of 35%. Additionally, the corporation can be subject to branch profits tax, a deemed dividend tax on the foreign corporation as it repatriates the money back to its owner. The tax rate for branch profits tax is 30%. However, different countries have preferential rates based on their tax treaty with the U.S. For example, the rate for an Israeli company based on the U.S.-Israel tax treaty is 12.5%. The corporation can also be subject to state tax depending on which state the asset is located. All these corporate taxes combined often made the investment unattractive due to the high taxes on profits. One of the new opportunities I will discuss in my upcoming blog is the lower tax rate created by the tax reform of 21% for corporations. The third way to invest is via a foreign trust. The trust, like the corporation, provides taxpayers with estate tax protection. Additionally, it also provides them with anonymity to U.S. tax authorities. Regarding tax rates, the foreign trust, like an individual, has a maximum tax rate of 20% on long-term (held more than 12 months) capital gains. However, the trust’s tax rates for ordinary income, such as rental income, quickly approaches the maximum rate of 37% (non-U.S. individuals hit it at $300,000 while foreign trusts at $12,500). The greatest obstacle to taxpayers investing through a trust is the fact that the trust must be an irrevocable trust and they must relinquish control of this money. For someone who already has money in a trust, and wants to invest it, this is an excellent option. However, many taxpayers cannot come to terms with having to lose control of the assets by putting the investment into an irrevocable trust and therefore do not use this option. In my next blog, I will use these ideas as the foundation to explore different opportunities within these structures created by the tax reform.